Where airline passengers used to take a short ferry ride to reach the island airport, they can now glide between terminal and shore on four underground moving sidewalks. 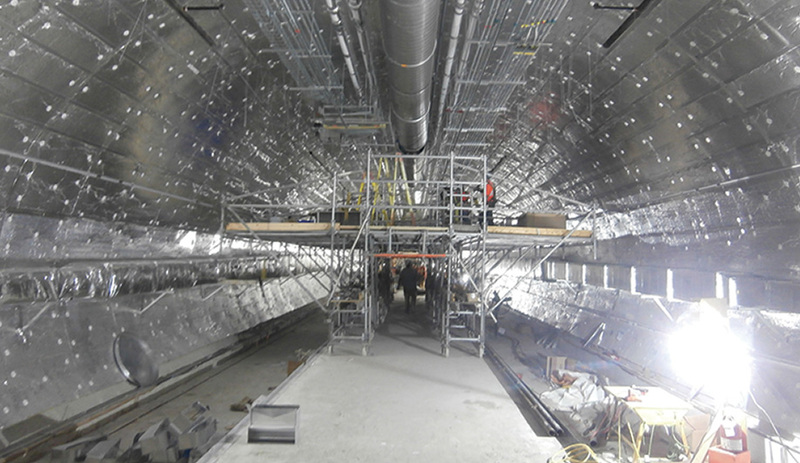 The new tunnel, 30.5 metres beneath the harbour, makes for a six-minute journey from end to end. 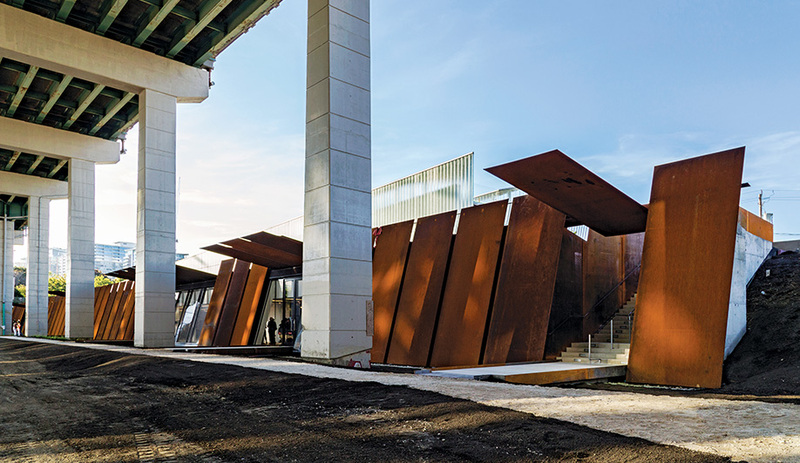 Designed by Patkau Architects of Vancouver and Kearns Mancini of Toronto, the new entrance to the 222-year-old historic site is located at the city’s former shoreline. For almost three years, this touristic boulevard has been marred by construction. 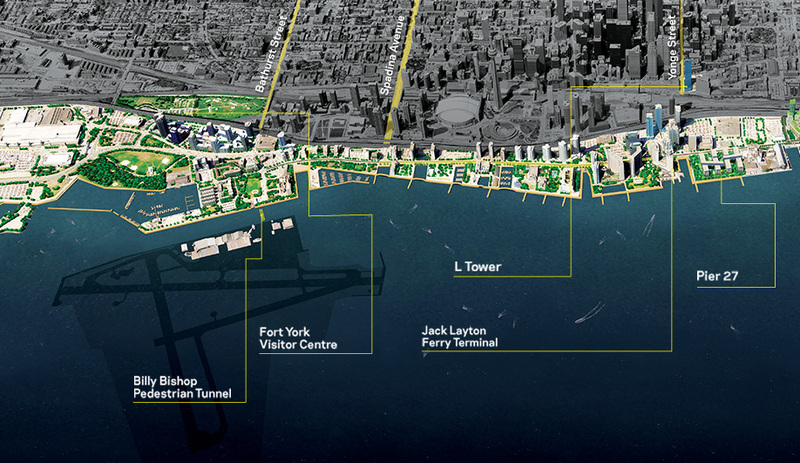 By the time the Pan Am Games arrive, the 1.7‑­­kilometre road will integrate various forms of travel, including a dedicated bike path along a tree-lined promenade with sidewalks paved in granite. 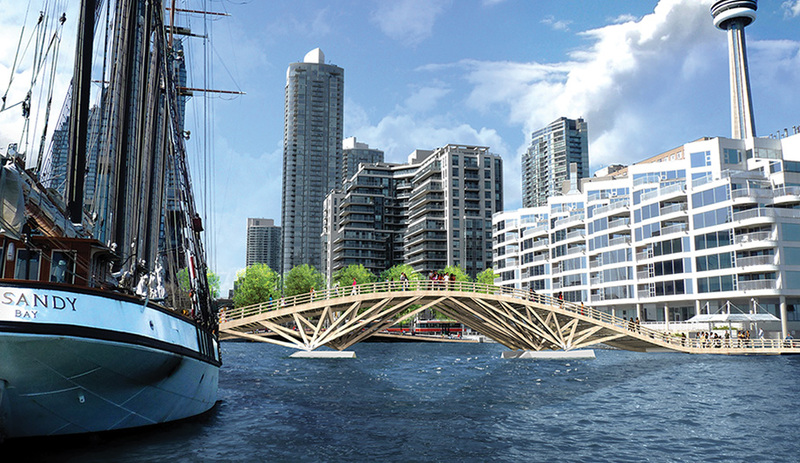 Still to come: five footbridges, designed by West 8 of the Netherlands and local firm DTAH, linking the inner harbour’s slip basins and inlets into one continuous pedestrian route. This 58-storey blue laminated glass tower by Daniel Libeskind was recently topped off, and residents will begin moving in this summer. 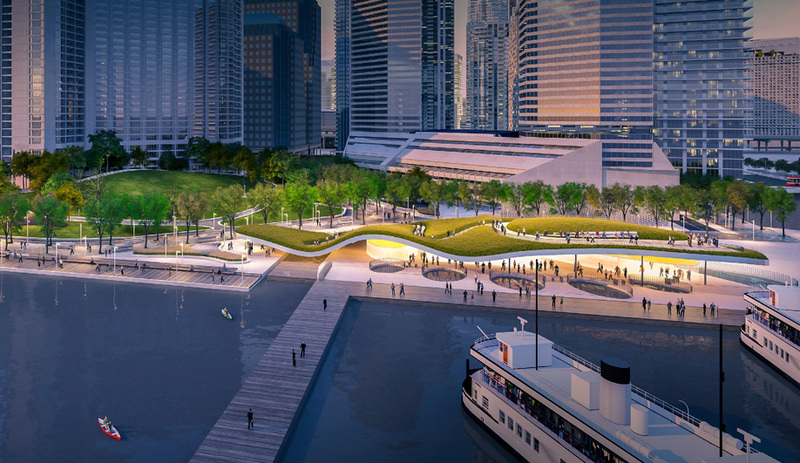 Plans are afoot to turn the Toronto Island ferry dock into an architectural showstopper. 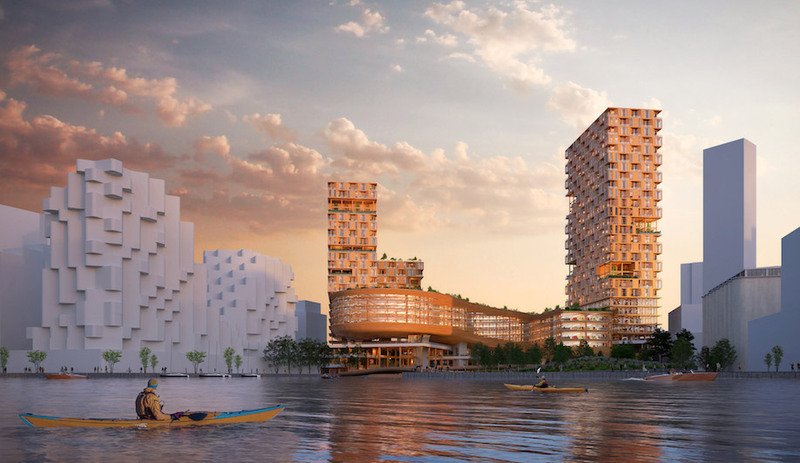 In March, five dream teams were shortlisted, and in April it was announced that the scheme by West 8 (Rotterdam), KPMB and Greenberg Consultants (Toronto) won the competition. 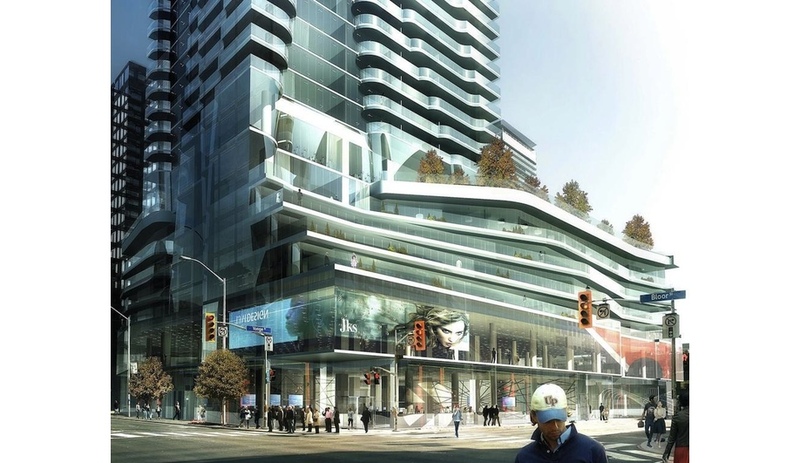 Developer Pinnacle International plans to build Canada’s largest luxury residential complex at the foot of Yonge Street. 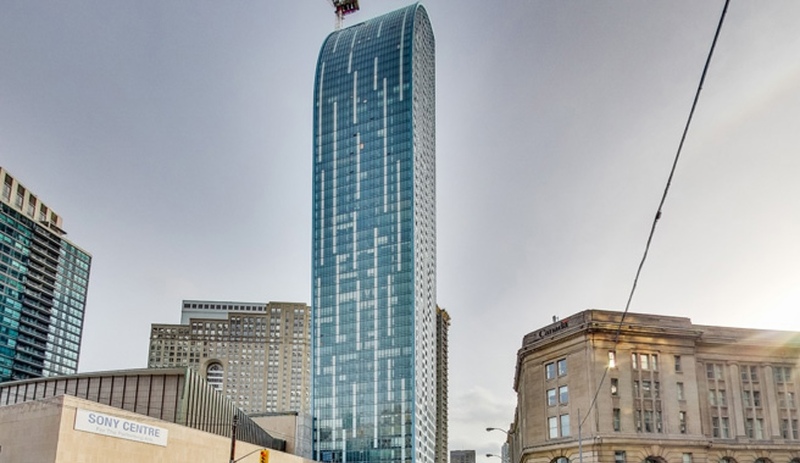 The design by local firm Hariri Pontarini squeezes six towers, between 40 and 88 stor­eys, into one block. 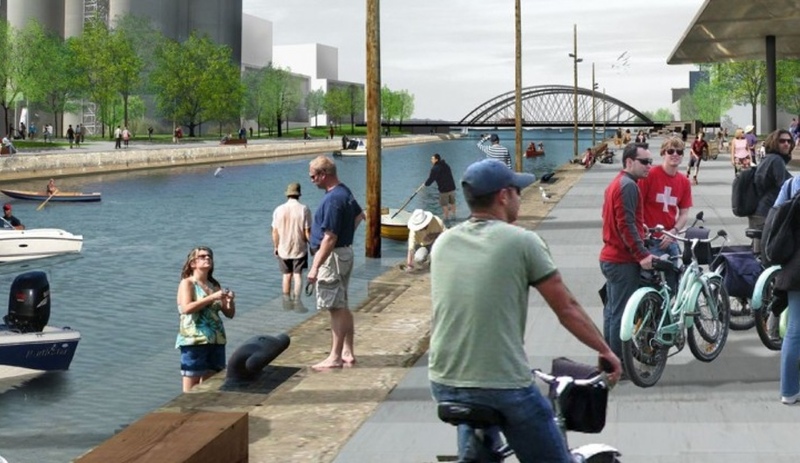 Now under review by the city, the project must overcome a few more obstacles before it gets the green light, including rerouting a freeway ramp to make way for an expanded promenade. 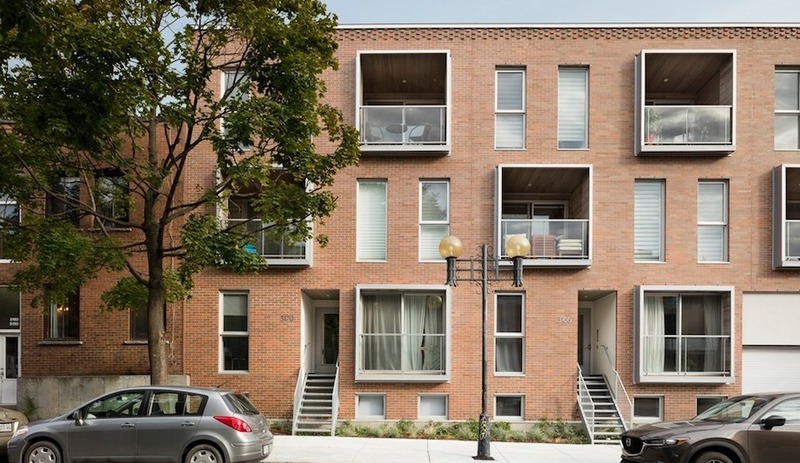 One of the more playful condo developments is designed by architects­Alliance. More than 300 units fill two sets of glass slab volumes; each pair of 11-storey buildings is joined by a three-storey-high skybridge, where the penthouse units will reside. The $55-million complex, which primarily contains single and one-bedroom units, is by Cityzen Development Group and Fernbrook Homes. 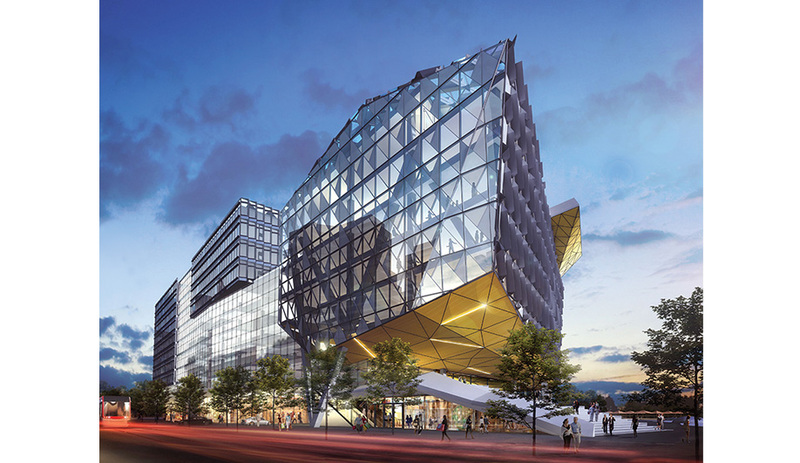 The city – and developer Menkes – hopes to lure such tech brands as Google and Ubisoft to this jewel-like complex, which offers a sleek environment for up to 2,000 employees. Construction of the centre, designed by Sweeny &Co, remains on hold until at least half of the space is leased. 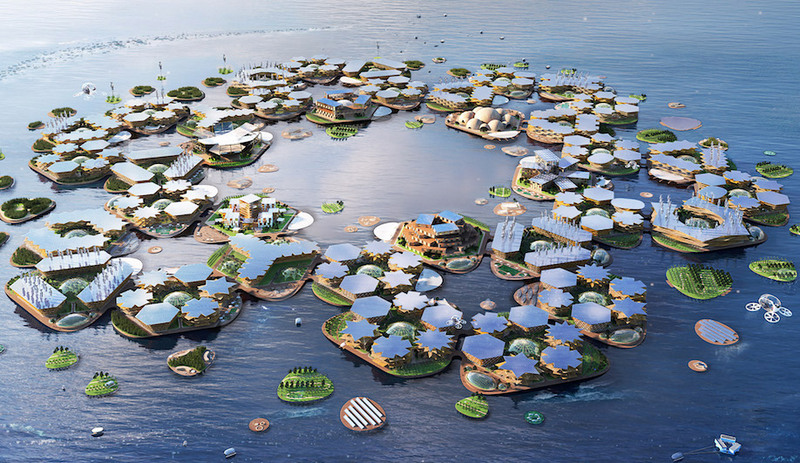 Meanwhile, groundbreaking is planned for 2016. 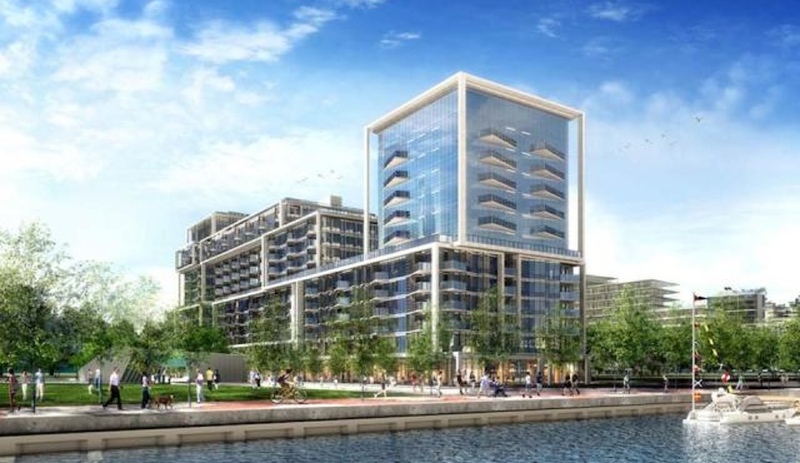 As part of a master plan by developers Hines and Tridel, and led by architecture firm Pelli Clarke Pelli, some 1,800 occupants will call Bayside home in the next decade. The first building of six residential and two office mid-rises is Aqualina, a 13-storey condo designed by global firm Arquitectonica, expected to be finished by 2017, followed by Aquavista in 2018. 1 YMCA community centre; 2 George Brown College residence; 3 Affordable housing; 4 Condominiums; 5 Future condominiums; 6 Corktown Common Park. 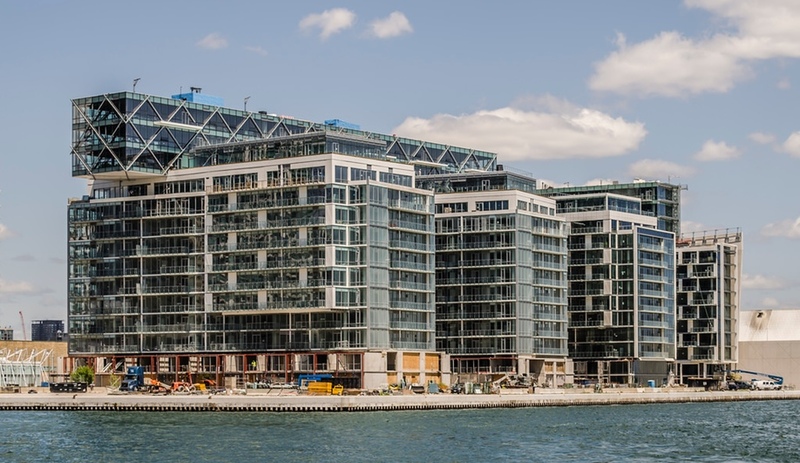 Toronto fast-tracked this major east side development and the neighbouring areas to finish in time for the Pan Am Games, where the buildings will host athletes from 41 countries before residents, owners, tenants and students move in next year. 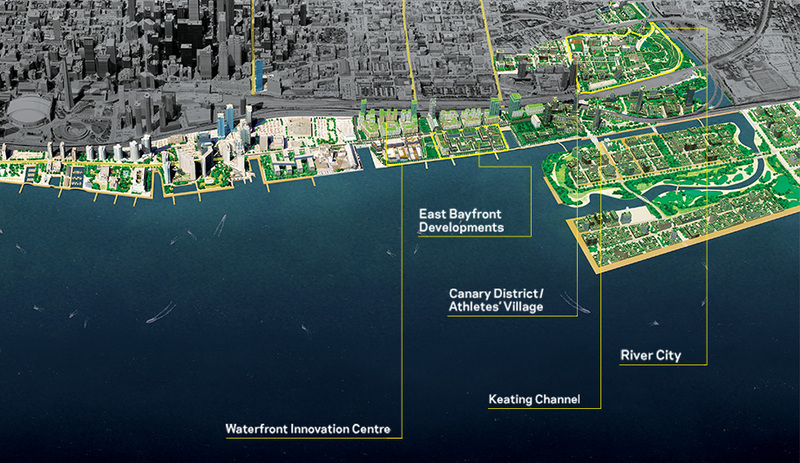 If all goes according to plan and downtown Toronto keeps growing eastward, this will be the next big neighbourhood to emerge, transforming 125 hectares of industrial wasteland into a mixed-use district with 4,700 residential units. 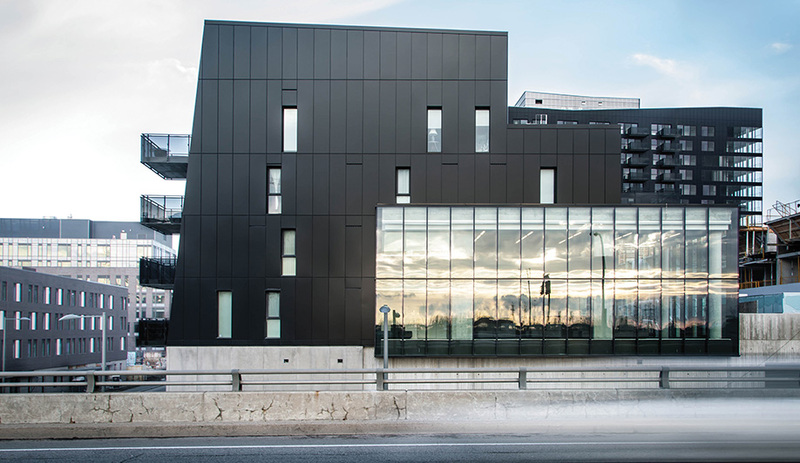 This $383-million development by Urban Capital is creating 1,100 loft-style condos and townhomes in a cluster of buildings by Saucier + Perrotte of Montreal. 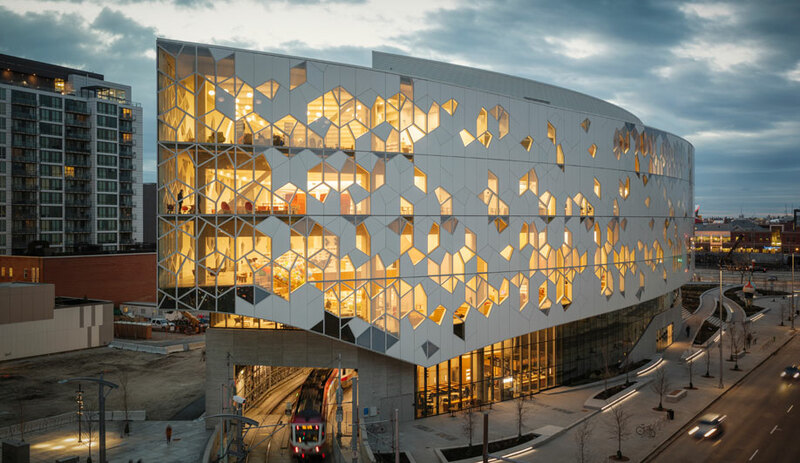 Phase three, now under­way, is a 29-storey structure called RC3, shaped like a boot with jutting balconies that resemble stacked USB keys.